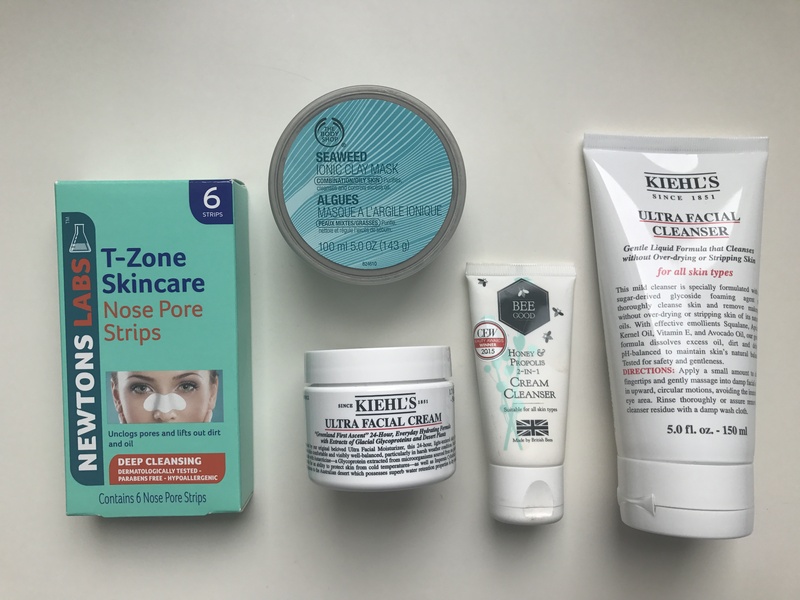 Skincare products that I’ve been loving! Swollen tonsils, exam stress and life leaves you with awful skin I don’t know if that’s just me. 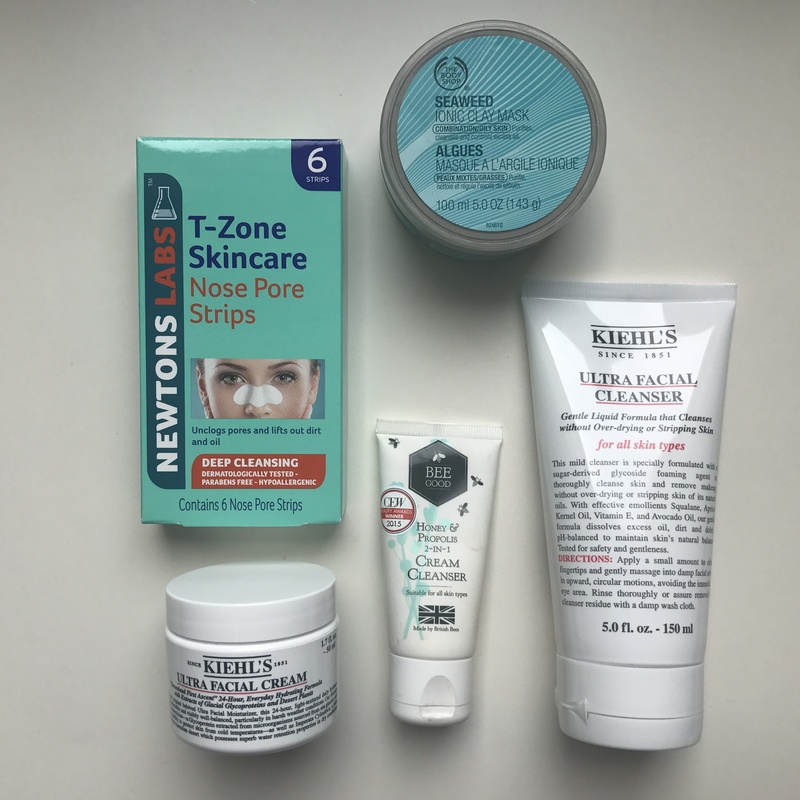 However all these factors led me to consolidating some of my favourite skincare products. All these products work wonders no matter what my skin is going through. I haven’t blogged in a week and I’m sorry but being Ill is the worst 😦 I’M BACK and a little better. So why not share with you some of my favourites right now! 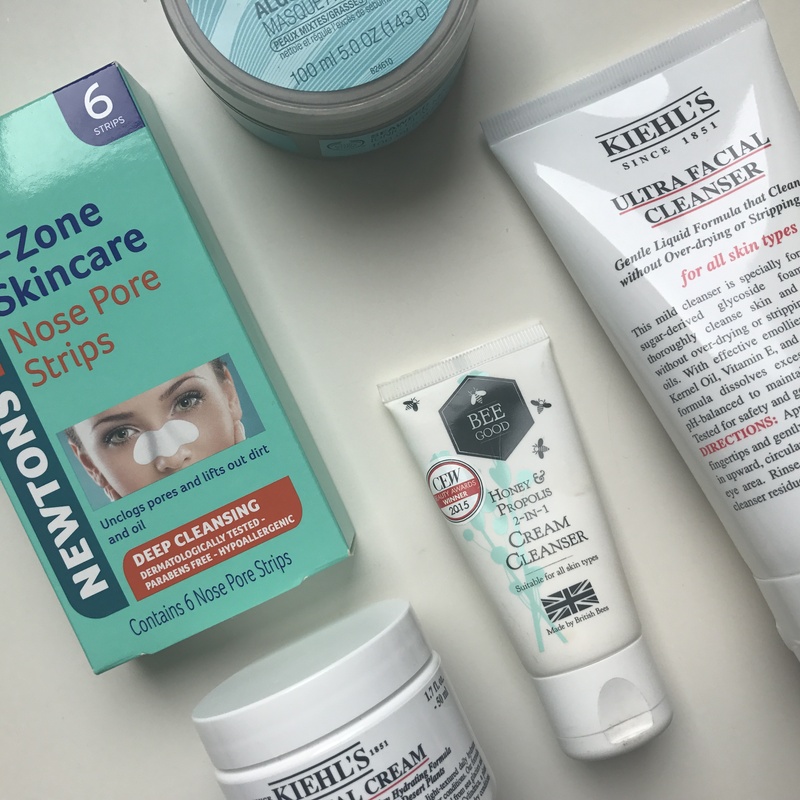 T Zone Clear Out Nose Pore Strips – After seeing so many other bloggers rave about these I hopped on the bandwagon and now I know why! They’re so good to get rid of blackheads and dead skin on your nose. They’re so easy to apply and are good for all skin types as I have quite sensitive skin too. Body Shop Seaweed Clay Mask – I’ve always loved body shop face masks and they’re the ones I continue to use, I mean you just cannot go wrong I love this seaweed one it works amazingly! It leaves my skin feeling super smooth and hydrated, I really want to try the charcoal one too have you tried it? Bee Good Cream Cleanser – Another one of my favourite products is this cream cleanser which I need to repurchase asap. It is perfect for when my skin breaks out. Its so soothing to apply and washes off leaving my skin feeling 10x better than it originally was. 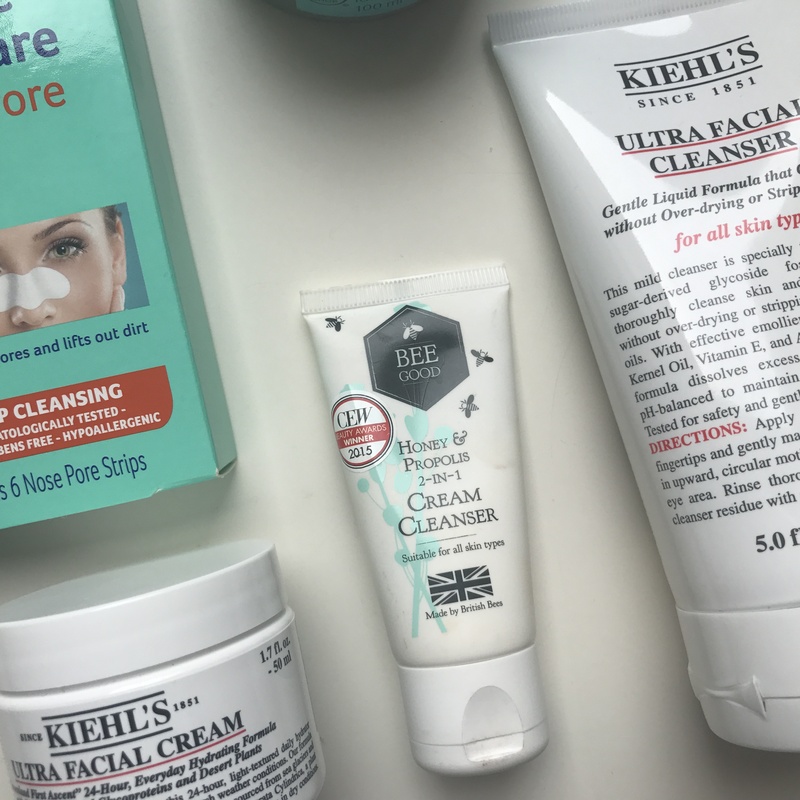 *Kiehls Ultra Facial Cream – I love this facial cream its perfect to apply before applying make up and after you’ve took your make up off. It’s the perfect shield for your skin. Leaving it feeling refreshed for a whole 24hrs without a doubt. It’s easily absorbed and is compatible with all skin types too. *Kiehls Ultra Facial Cleanser – I love taking my make up off with this facial cleanser as it is one of the best facial washes I’ve used it leaves my skin feeling so soft and glowing. You only need the tiniest amount too and it works the same whereas other products you do need quite a bit. What skincare products are you loving? Comment below. « *Fabulous in a flash with Soap and Glory! Kiehl’s Ultra Facial Cleanser is one of my all time favourites. I am also loving Vichy Normaderm lately.